I realized that the part of Daw Mon and U Pyu played in our Shwe Bama history is also crucial part of our religion. They give us Hinduism followed by Buddhism. We could learn a lot by looking back at them. When our Pagan first Shwe Bama village tract was in deep dark without a real religion and just struggling under the tyrant Ayi Gyi’s ‘religion’ Daw Mon and U Pyu had enlightened our forefathers with Buddha’s teachings and salvaged all of us. Dear Nan, you already know that our Shwe Bama villagers are of Mongoloid people, have origins in present-day Daw Tibet village, who are thought to have originally migrated from the steppes of present-day Mongolia village. 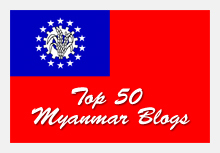 We migrated 3,000 years ago to the lower valleys of the Ayeyarwady River. We are ethno-linguistically related to the Daw Tibet and the U Tayoke. And we already know that the first Shwe Bama village empire, Pagan started in 1044 AD. The most important ethnic groups at that time were the U U Bama, the U Yakhine, Daw Daw Shan and Daw Daw Mons, of which the U U Bama’s relatives were the most numerous and the most powerful. i. The original villagers since Bronze and Iron Ages. ii. The villagers descended from Daw Tibet’s village. iii. Those migrated from U Kalar’s village. (b) U U Kan Yan was a Mongolian and descendent of Daw Tibet’s village. Daw Daw Thet was from Thai-Chinese group. Dear Nan, I wish to quote our famous historian Dr Than Tun’s ‘The Story of Myanmar told in pictures’. U U Pyu established ancient village kingdom (and its language) found in the central and northern regions of what is now Shwe Bamar village tract. and the brief accounts of some travellers and traders from U Tayoke’s village, preserved in the Chinese imperial history. U U Pyu is believed to have been ethnically different from the Shwe Bama villagers, although they may have inter-married with the Daw Tibet villagers who later became the Shwe Bama villagers. During this period, our Shwe Bama land was part of an overland trade route from U Tayoke to U Kala’s village. U Tayoke sources state that the U U Pyu controlled 18 village kingdoms and describe them as a humane and peaceful people. War was virtually unknown amongst the U U Pyu’s villagers, and disputes were often solved through duels by champions or building competitions. They even wore silk cotton instead of actual silk so they would not have to kill silk worms. Crime was punished by whippings and jails were unknown, though serious crimes could result in the death penalty. U U Pyu practiced Theravada Buddhism, and all children were educated as novices in the temples from the age of seven until the age of 20.U U Pyu’s villages never unified into a Pyu village kingdom, but the more powerful villages often dominated and called for tribute from the lesser villages. The most powerful village by far was Sri Ksetra, which archaeological evidence indicates was the largest village that has ever been built in Shwe Bama. The exact date of its founding is not known, though U U Pyu chronicles speak of a dynastic change in A.D. 94, so it was before that date. Sri Ksetra village was apparently abandoned around A.D. 656 in favor of a more northerly capital, though the exact city is not known. Some historians believe it was Halingyi village. Wherever the new capital was located, it was sacked by the villagers of Daw Nan Cho in the mid-9th. century, ending the Pyu’s period of dominance. Dear Nan, lets see how written Bama language started. Finger marked bricks are found in one of TibetoBurman group occupying upper Bama i.e. Pyu old towns, Mon and India.We found out that Pyu language started in 5AD in Southern Rakhine. At famous Mya Zedi Pagoda stone inscriptions were written in Pyu, Mon, Bama, and Pali in1113AD. Daw Pyu had written records, dated from 1st century A.D. and Daw Mon from 5th century A.D. and we, Shwe Bamas had our own written records only in 11th century A.D.
Beikthano (Vishnu) at the end of 4th. AD (Khmer troops occupied 210-225 AD. (Taung Dwin Gyi) after which the Mons moved in, giving the cities names Panthwa and Ramanna pura. Dear darling, in Chinese Chronicles they recorded Pyu as ‘P’aio’. But Pyu Called themselves Tircul. (Perso-Arab authours) of 9-10 AD. There are records of Daw Nan Cho and U Tibet alliance in 755 AD to defeat U Tayoke. Daw Nan Cho village king U Ko-lo-fen communicate with U Pyu. U Pyu Kings were called Maharajas and Chief ministers were called Mahasinas. Daw Nan Cho conscripted U Pyu soldiers to attack of Hanoi in 863 AD. No archeological evidence except supported by chronicles and linguistic evidences and epigraphy for Daw Chin’s cousins U Kadu and Daw Thet. On Daw Pyu’s stone inscriptions, kings names with Vikrama were suffix with Vishnu. The same tradition was noticed in Gupta era India 100 BC and in Sri Kestia, Mon in south, Thai and Cambodia. Statue of Vishnu standing on Garuda with Lakshmi standing on the lotus on left. And Brahma, Siva and Vishnu thrones were also found. Name, Varman name there was influence of Pallava of U Kala’s village. Dear Nan, in Chinese Chronicles Chen Yi-Sein instead gives an Indian derivation for Panthwa village, as the name of a Dravidian tribe settled in Daw Mon’s areas around the Gulf of Martaban. 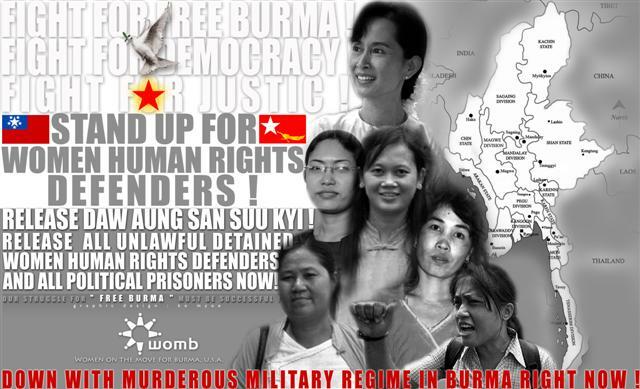 This group was later one of the pioneers in a ‘Monized’ occupation of Beikthano village, which also led to the village/city being called Ramanna-pura, linked to Mon areas of southern Myanmar (1999:77). The Tagaung dynasty is explicitly incorporated into the story of Duttabaung’s mother and father; the lineage of the Queen of Beikthano is less consistent, but always intertwined with that of the Sri Kestra village rulers. In all of these, links are made between territorial control, royal patronage of Hindu or Buddhist sects and supernatural events. The stories of Tagaung village, Sri Kestra village and Beikthano village are intimately related, with Sri Kestra village eventually dominating but not necessarily bringing an end to Beikthano village citing a hypothesis that the inhabitants of Beikthano village may have been a different Tibeto-Burman group from the Daw Pyu’s brothers of Sri Kestra (Than Tun 1965). In giving names to the generalized references in Chinese records, Halin village is often identified as a garrison town, with Sri Ksetra village the capital of the Daw Pyu village kingdom. The brief chronicle history of Halin village cited below credits its founding to the U Kala prince and its demise to a fire breaking out during rebellion and royal conflicts, none of it relating to other known Daw Pyu village sites. There is one reference to Halin village in the Glass Palace Chronicle, but in the time of village King Naratheinhka in the late 12century AD. Karabaw attempted to dam the Ayeyarwaddy to the east of Halin village. This failed, and he constructed the Nagayon tank to the southeast of the village city wall. His reign was followed by 799 kings, ending with the reign of the brothers Pyu Min and Pyone Min. Although on harmonious terms at first, they eventually quarreled and Pyu Min took the life of his brother. The populace rebelled and killed the king. A fire broke out, burning down the city, and ending the village city of Halin (Myint Aung 1970:56). Recalling the absence of Halin village in the Tagaung-Srikestra-Bagan village chronicle sequence, these successive occupations demonstrate the site’s significance in a proliferation of contexts yet to be fully reconstructed. Little is known about the institutions which regulated Pyu society or the agricultural and political domain outside the walled area. Comparison of the remains of walls at the Pyu village centres of Beikthano village (Vishnu), Sri Ksetra village and Halin village show a similar approach to territorial demarcation. The massive walls and gates, and offer a viable indicator of a centrally organized social hierarchy capable of mustering labour to construct and maintain fortifications. 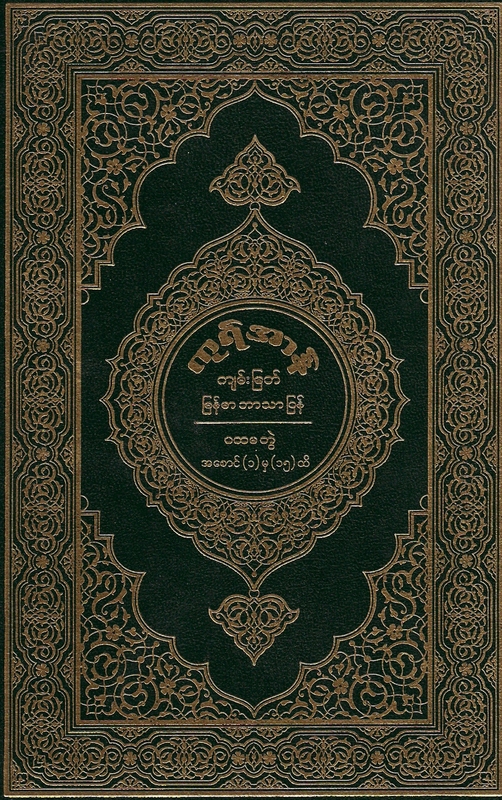 Chronicle records of the Daw Pyu, the differences in many ways outweigh the similarities between Sriksetra village, Beikthano village and Halin village. Each seems to have followed its own development trajectory, with Sriksetra village and Halin village most likely profiting from respective control of seaward and overland trade. In addition, the material culture of Daw Pyu village sites is distinct from that of Dvaravati village sites in Centraland Northeast Thai Land village. While the two areas were clearly in communication and share a number of traits from walled enclosure, stylistic features of images of the Buddha, silver coins and beads. As documentation on the Daw Pyu increases, the conflation of a politically and linguistically distinct domain with a start and finish, can hopefully be replaced with use ‘Pyu’ in a cultural sense, similar to that which has evolved in regards to the preference of Dvaravati over ‘Mon’ for the art of first millennium AD central and Northeast Thailand. (Woodward 2003:54). While much of the discussion above is within a framework of the Daw Pyu’s period, reference has also been made to the growing body of new information on pre-Bagan village habitation of Upper Shwe Bama. Prior to the 1998 excavation of the Bronze Age cemetery near Nyaunggan, Budalin township, comparative study of Daw Pyu’s artifacts looked outside the country for contemporary material from South Asia and areas to the east linked to the ‘Dvaravati’ village cultures of present day Ko Thai Land’s villagers. Analysis of the Daw Pyu’s period remained within the paradigm defined by Shwe Bama chronicles and the early history within an ethno-linguistic framework. While attention was given to population groups other than the Daw Pyu (e.g. Luce 1985), defining their presence archaeologically was not feasible, leaving the Daw Pyu in isolation as the sole or dominant root with which to define the emergence of Bagan village. Despite the implications of stability and structure implied by a Daw Pyu village ‘city’ or ‘kingdom’, it is probable that relations were persistently fluid, “not state as institution, but as ‘part of a discourse of contested political claims, as an aspect of social relations, rather than as a structure in and of itself’…”(Day 1996:386). As I had mentioned, existing chronologies present a sequence of capitals for a Daw Pyu village kingdom. As yet, there is no sense of how and when different elements, particularly royal and monastic ones, were introduced into the society. 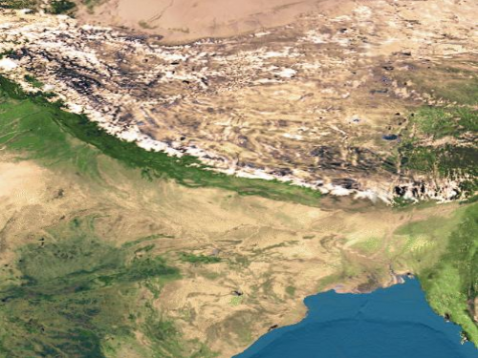 The population densities were centres of authority, protection, teaching and sustenance but the degree of competition and movement of individuals between nodes is not yet clear. Bonds to place, of birth and livelihood, balanced the sense of boundary implied by brick walls, with steady mobility between the two contexts. In a prehistoric paradigm, this means considering the movement of peoples between villages and the flow of traders and religious figures across the landscape. In this way we do not lose a spatial referencing that accommodates cities, their rulers, priests and monks, and the makers of finger-marked bricks. Invading U Tayoke villagers and U Mongo villagers from the north destroyed Tagaung village. The last village head or king of Tagaung village, Bhinnaka Raja run away and died later. His followers, Tagaung villagers split in to three divisions. One division founded the nineteen Shan States at the eastern part. 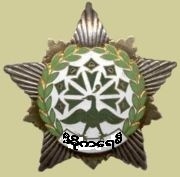 Another division moved down Ayeyarwady River and combined with Muducitta and other Sakiyan princes from Ko Kala’s village and the other groups of Daw Pyu, U Kan Yan and Daw Thet. The third group stayed in Mali village with the chief queen Naga Hsein, a Sakiyan from Ko Kala’s village. She was the queen of the Sakyiyan king Dhaja Raja migrated from Ko Kala’s village. On the way he founded Thintwe’ village. Then they founded the upper Bagan(Pagan) village. Dahnnavata captured Thambula, queen or head of Daw Pyu’s village. But Nanhkan village or queen of Daw Pyu’s village had driven out the Ko Kan Yan’s villagers, who lived in seven hill-tracks beginning Thantwe’ village. Village King Dwattabaung, direct descendent of Abi Raja from Ko Kala’s village, founded Thare Khit Taya in 443 BC. It was said to be self-destroyed in 94 AD. The history is half -mystical at that time. U Talaings migrated from the Talingana State, Madras coast of Southern India. They mixed with the new migrants of Mongol from U Tayoke village. There were Daw Pyu’s cousins migrated from Andhra and Orissa villages of from Ko Kala’s village tract. That Daw Mon’s mighty village Kingdom extended from Lower Shwe Bama village tract (Pathein village or Bassein, Mawlamyine village or Moulmein, Tanintharyi village or Tenasserim, Tanyin village or Syriam), U Thai Land village and Daw Kam Bodia village. King Anawrahta of Bagan village (Pagan) conquered that Daw Mon village Kingdom of King Manuha, named Suvannabumi village (The Land of Golden Hues).Two princes named Thamala and Wimala (Shwe Bama version of Ko Kala names-Thalma and Vimala.) established the Bago village in 573AD. Tabinshwehti (Taungoo Dynasty) conquered it in 1539 AD.The First Union of Shwe Bama village tract is credited to them as they are the ones who first founded the Union like present Shwe Bama village tract between 4th century A.D. and 9th century A.D. The cultural exchange between Shwe Bama villagers, U Kala, U Tayoke villagers and other South-east Asian villagers are obvious. We have to consider the arrival of Europeans and gaining cultures from them, how gunpowder, gun and canon play an important part in politics in our Shwe Bama villagers. The new species of plants and the new faiths (Hindism, Buddhism, Christian, Islam, etc.) that we get from them must be must be considered. We must accept that we have got both the advantages and disadvantages in dealing with foreigners (Chinese, Indian and European) U Tayoke village tract head Kublai Khan’s Turkish soldiers, commanded by Nasrudin, the son of Yunan Governor attacked and took over Burma in 1277 AD. Tartars at first took strong hold in Bhamo (Burma) for a few years and later destroyed Bagan (Pagan) in 1287 AD. Interestingly those Turks give the U Tayoke the name we called in Shwe Bama language. U Tayoke and Ko Mongol’s invading war remained not yet fully documented in our Bagan village era. But Asan Kaya, Raja Dirit and Sihasu records are already completed. 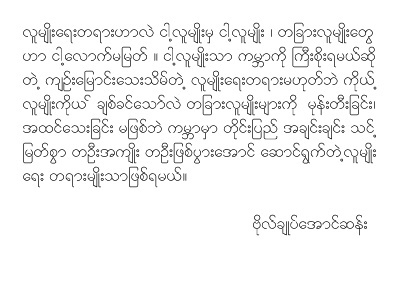 We now know how Min Gyi Swa, Min Gaung, Min Ye Kyaw Swa and Raja Dirit fought against each other. And the military strategies, defensive and offensive actions in war changed due to the extensive use of guns and canons were seen. New economics and new religions because of the relation with western countries started from the 15th century A.D. IN Snow White, the evil queen famously asked, “Mirror, mirror on the wall, who’s the fairest of them all?” The response she was used to receiving was that she was the most beautiful in the land. Imagine her outrage when the mirror revealed a different answer one day. Someone else had taken over the mantle of being the most desirable. Her anger, of course, wasn’t because the mirror was lying, but rather, it was because it was telling the truth. Mirrors aren’t always perfect. Depending on how well they’re made, the reflection offered can sometimes be distorted. How and where it is placed will also give a different image. Nevertheless, mirrors do offer a good idea of what we look like. Put several mirrors together, and we might even get to glimpse parts of ourselves previously impossible physically. The delusional and conceited aside, few of us will ever be completely happy with the reflection we see. Sure, we can blame the mirror, but another one inevitably offers a similar image. Reflections cannot be changed. It is only us that can. For as long as I can remember, there’s always been a lot of resentment from the government about the way foreign media have covered – – – – -. Unlike the local mainstream media, international news organisations don’t have to be too concerned about what the ——–government thinks. The borderless nature of the information age has meant that there will be many who will be eager to hold up mirrors to show us, and anyone else who cares, what we look like on a bad hair day. It’s as if we’re surrounded by camera phones – and sometimes we literally are – ready to capture on video our most awkward moments. Sure, we can be angry when the reflection revealed is not a flattering one, but where should we direct this anger? Taking it out on others would be akin to blaming our insecurities on the mirror – ultimately pointless. Besides, the democratic – some might say, anarchic – way that information spreads these days means we will soon be like a senile old man yelling left and right to no avail. One day, it’s an individual blogger who details out her frustrating experience with the – – -. The next day it could be an international news organisation. In between, it could even be a local newspaper writing stories about corruption in the civil service. I suggest instead that we be angry at ourselves for allowing others to see uncomplimentary images of us. We can nitpick all day about angles and perspectives and fairness, but we cannot deny that a mirror can only reflect what is there. Barring blatant lies and untruths, we can’t be much more than annoyed when people don’t portray us the way we would like them to. We ourselves can’t continue to avoid looking at ourselves by closing one eye or both. I do wonder sometimes, however, if it’s not a conscious aversion to seeing the truth, but rather, an inability to recognise our own reflection. So some of us might honestly believe that everything is fine and dandy here, that there is no need whatsoever for reforms and change. That – – – – is going through a difficult period is not the result of my imagination nor the creation of the international media with bloggers. Crime rates, rising cost of living, problems in the judiciary, race relations, corruption and more fill our own local media daily. Perhaps that’s why some of us have difficulty recognising our own country when it is shown on international television or the Internet. We seem uncomfortable with the sight of our own reflection. Don’t let our vanity prevent us from seeing what – – – – is, and what we need to do to get back on the right path. We cannot demand others to change, we can only change ourselves. It’s time to get our heads out of a fairy tale, and back to the real world.